This 1964 Thompson Sea Coaster was a 20 Month restoration project. It was originally sold to the owner in Illinois, who passed it on to his Nephew in Kansas, where I found it in a barn. I started by flipping it over & stripping all the paint & varnish from the bottom & sides. Then I tightened, filled, caulked, etc. After I stained the top trim plank, I put two coats of Smith's CPES, two coats Pettit bronze bottom paint, two coats of Pettit primer & two coats Pettit top coat. I flipped her over again & stripped the decks, gunwales, windshield frame, & applied the stain, CPES, & five coats Pettit Captains Varnish. I also built & installed a rear seat that hides a 12 gal fuel tank, plus extra storage, & I built & installed two cabinets on the front seat back for additional storage. 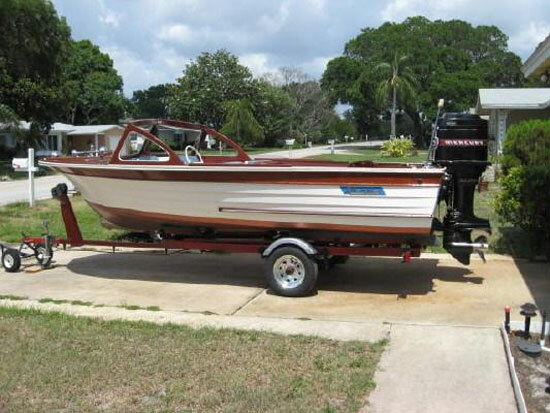 It is powered by a like new Mercury 1000 (100hp) w/power T&T. I installed a handy T&T switch at the stern. 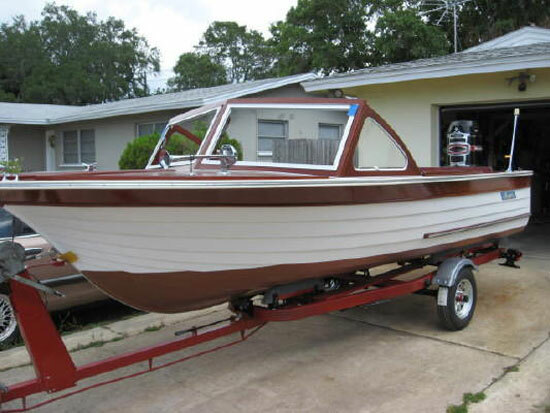 The Gator trailer was restored and fitted w/new wheels & tires, LED lights, and extra bunks to carry the boat. This is my 6th restoration since my wife passed on in 1998. I had a boat & motor dealership in Northern Illinois in the late 50's. I have always liked the lapstrake boats. I am now 82 years young and looking for my next project.